Tony Stewart is an American auto car racing driver, entrepreneur, and the co-owner of a racing team, Stewart-Haas Racing. He has a net worth of $70 million, which he has acquired by his car racing and endorsement deals. He made $6 million by entering into sponsorship deals with Oakley and Coca-cola. As per 2013 list of “Highest Paid Athletes” of Forbes, Tony holds 83rd rank. 2012 was the highest earning year for Tony as he earned $7 million from his endorsement deals with Burger King, and $15.3 million from his record-breaking and splendid wins. Whether it is USAC Silver Crown, Stock, Midget, Sprint or Indy cars, Tony won titles in every championship, throughout his career in racing. Tony is a co-owner of several racetracks. In 2004, he purchased Eldora Speedway (auto racing’s showcase). Currently, he co-owns Macon Speedway in Illinois and Paducah International Raceway in Kentucky. Besides this, he is the co-owner of Stewart-Haas racing team. Along with other race drivers, he won the title of an owner in the USAC National Sprint Car Series. Tony hosted “Tony Stewart Live”, a 2-hour weekly radio show. He also made an appearance in the song “The Road I’m On” of a music video. Apart from this, he also appeared in several commercials. He starred as a host in NASCAR Images Adrenaline Vol 1, and as a guest on Last Man Standing, a series on the ABC. Recently, he was seen in “Tooned”, a special series of McLaren’s cartoon. Tony has also been included in video games. 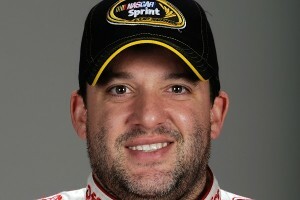 Tony Stewart lives in a massive and splendid residence in Columbus, Indiana (USA), which is his native country. He also possesses Chevrolet Impala and Bass Pro Shops/Mobil 1 Chevrolet SS, which he drives for his own team in the NASCAR Sprint Cup Series. Tony was born in Columbus, Indiana (USA). While attending Columbus North High School, he worked at McDonald’s. His passion for racing made him successful at a very little age. When he was of 16 years, he won a World Karting Association championship. He moved to UMRA (United Midget Racing Association) after 1987 and participated in three quarter (TQ) midgets. Then, he participated in the races in United States Auto Club, where, in 1991, he was entitled as the “USAC Rookie of the Year”. In 1996, he made his debut in NASCAR Busch series, where he was placed on the 16th position in the list of “Top 50 NASCAR Race Car Drivers”. With an aim to donate and raise funds for injured drivers, chronically ill children and to assist other charitable institutes in protecting endangered animal species, Tony founded “Tony Stewart Foundation”.